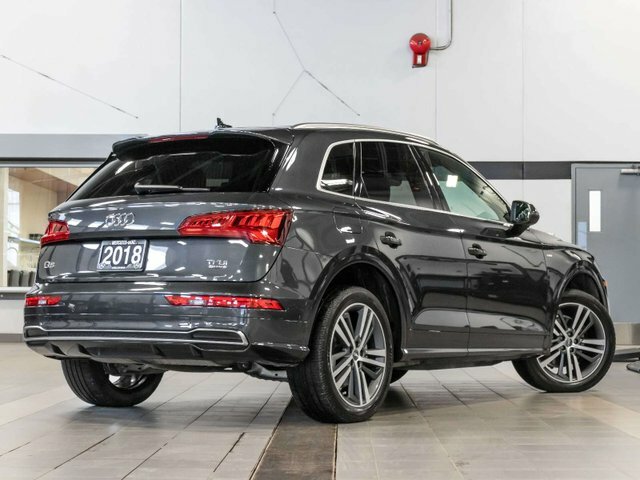 1-owner 2018 Audi Q5 with all-wheel drive and only 28,639 kms. 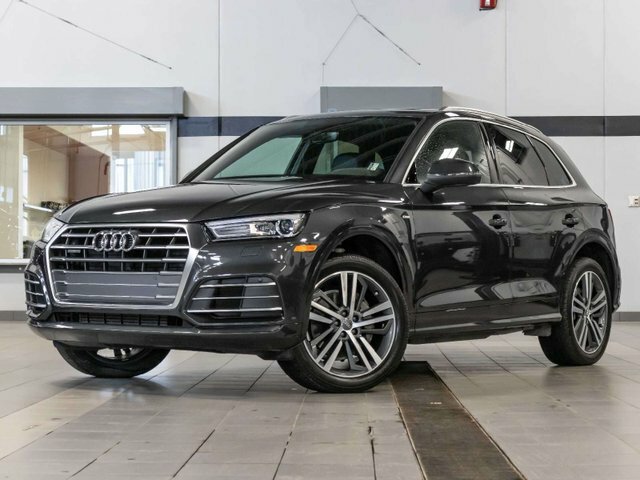 Originally purchased new from Taylor Audi in Regina in September 2017 and recently traded in here to our dealership. Comes in a Manhattan Grey Metallic exterior with Black leather interior and brushed aluminum trim. 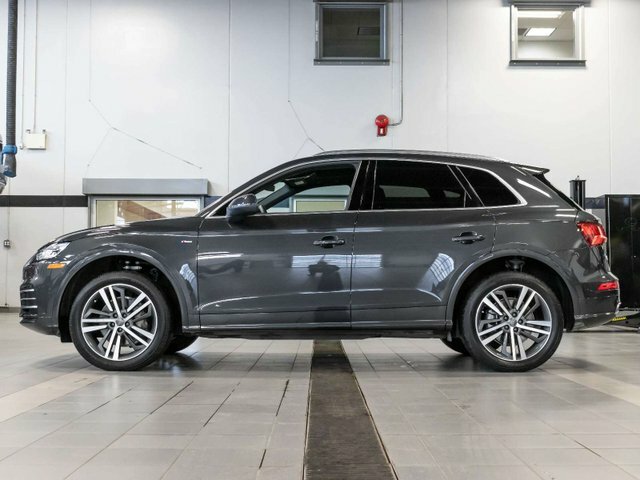 Powering this Q5 is a 2.0L 4-cylinder engine which produces 252hp and 273lb-ft of torque paired with an 7-speed S Tronic dual-clutch automatic transmission and Quattro all-wheel drive. This vehicle has never been smoked in, and has never been involved in any collisions with a clean CarProof vehicle history report. The previous owner's loved this vehicle but ultimately decided they wanted a sedan as they had another SUV, and traded their Audi in for a brand new 2019 C300. During our inspection we changed the oil and filter and put nitrogen in the tires, so this vehicle is road ready. Key features include - Panoramic Sunroof, Navigation, Rear view camera with front and rear acoustic sensors, Audi Hill-start assist, Multi-Function Steering Wheel w/ Shift Paddles, Auto Dimming Mirrors, Audi advanced key with keyless engine start/stop and hands-free tailgate release, Audi Drive Select, heated front seats and steering wheel, navigation with MMI center infotainment display and much more. Comes with (2) sets of keys and all original owner's manuals. Financing and extended warranty available. Pre-owned vehicle tax rate is determined by the purchasers home province residence. Contact the dealership for your personal video walk-around or any additional information.